New Mission Shirts Have Arrived! 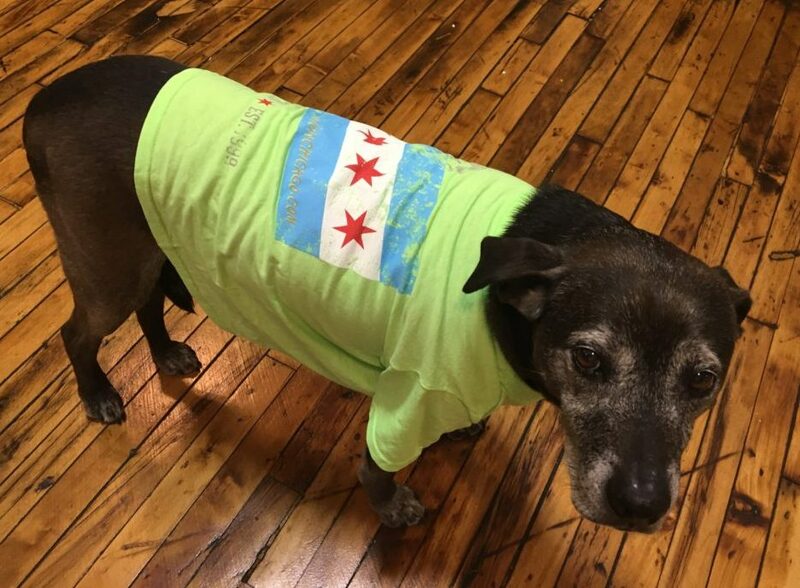 | Mission Press, Inc.
It’s been a while since we’ve had new T-Shirts made and we are really excited about our vintage Chicago flag look (although our model, Sherman, apparently doesn’t share our enthusiasm)! Click here to score your very own (FREE!) t-shirt! Our short-sleeve T-shirts are a pre-shrunk cotton/poly blend. The women’s shirt style is a flattering, more form-fitting V-neck (photo to come). We have many of your favorite colors, as long as that color is black. 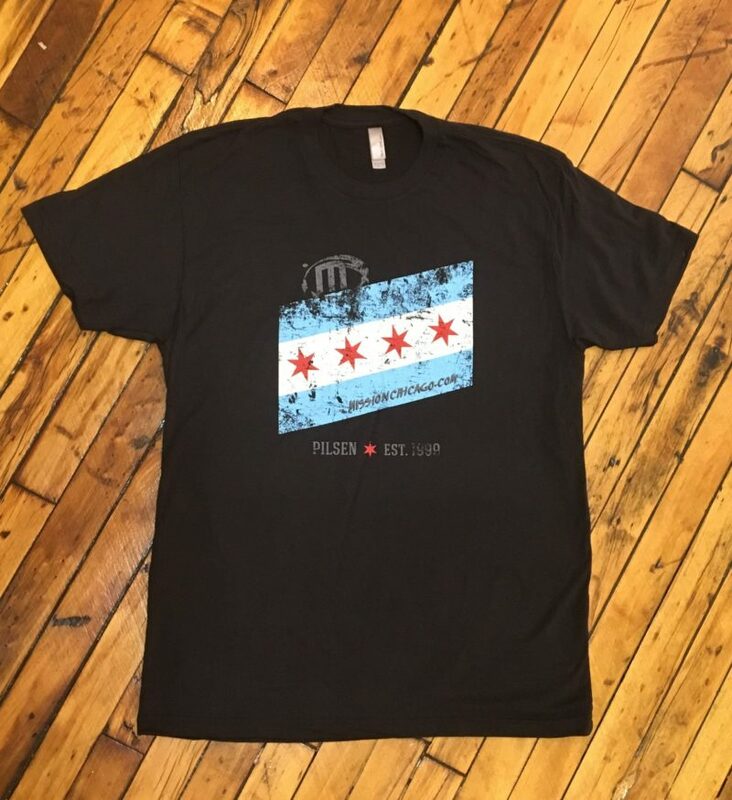 If you'd like to receive one of our awesome Mission vintage flag t-shirts, fill out this form and we'll send it with your next print order! We’re also working on a (totally optional) Instagram contest with the t-shirts that will stretch well into 2017. If you want to participate, you will have a chance to win a yet-to-be-finalized cool prize (hey, if you know anything about us, you know it won’t be lame!). Potential prize(s) are gift cards to local restaurants, Cubs/Sox or other Chicago sports team tickets, or a weekend getaway. Once you receive your shirt, take a photo of yourself (or someone else) wearing the shirt. Make it fun, artsy, taken from distant locations…we’re counting on you to be creative! We’ll pick winners at random, because we love all our clients and wouldn’t want to have to choose between you! * Not sure when your next print job will happen or need more than one shirt? You can purchase shirts for $25 each plus shipping. Just let us know in the form comments below and we’ll contact you.